The California Air Resources Board (CARB) has had a drastic change in focus this month. The aerosol coating and adhesive rule has been delayed. The staff will focus their attention on Windshield Washer Fluid, Paint Thinner and Multi-purpose solvents. For Windshield Washer Fluid, the Type A areas will be expanded. This means high VOC content ready to use Windshield Washer Fluid will be available in more places in California. This is a big move for the staff. The emission reductions from this category were in place a long time ago. For Paint Thinner and Multi-purpose solvent, staff will be looking for ways to modify the regulation to prevent perceived circumvention of the rule. These categories have also been regulated by the South Coast Air Quality Management District (SCAQMD). Currently, in both regulations there is a category for Industrial Maintenance Thinner that does not have a VOC limit. CARB will likely try to modify this definition. If there is a legal definition and the product meets the definition, how is this circumvention? In addition, CARB will review the Low Vapor Pressure (LVP) exemption. 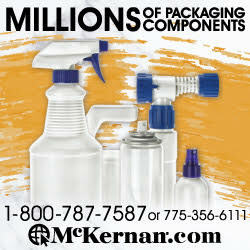 LVPs have been in Consumer Products for 20 years. CARB has repeatedly defended this exemption. The industry needs to be aware of this and be prepared to defend this LVP exemption. Without LVPs, most of the limits for the product categories would not be technologically feasible. If CARB removes the LVP exemption from these categories, how long before other categories are targeted. This is a very slippery slope. The first workshop will be held in July in Sacramento, CA. Make sure you are paying very close attention to this regulatory action, as it could set the Industry back decades. The Board action on LVPs could be as early as this fall—this is a very important issue. The Environmental Investigation Agency (EIA), an environmental group, petitioned the Environmental Protection Agency (EPA) to remove HFC-134a from the list of acceptable substitutes for any ozone depleting substances (ODS) under EPA’s Significant New Alterations Policy (SNAP) on Apr. 26, 2012. Remember, two years ago EIA, the National Resources Defense Council and the Institute for Governance & Sustainability submitted a petition on the same thing. EPA determined in February 2011 to remove HFC-134a as an approved substitute for motor vehicle air conditioning systems. EPA requested additional information on other uses. Until now other data had not been submitted. The EIA letter is six pages long and requests EPA to ban almost all uses of HFC-134a, including uses in aerosols for dusters, tire inflators, solvent sprays and other aerosol uses. EIA does state “HFC-134a should only be used in aerosol applications where there is no other safe, practical, economic or environmentally acceptable alternatives….” EIA state metered dose inhalers as an example. Again, dusters and tire inflators are specifically detailed in the letter. Next, we will wait for EPA to provide an announcement and ask for public comment. We should begin now forming our arguments for preserving essential uses of HFC-134a. how many comments the agency addresses.